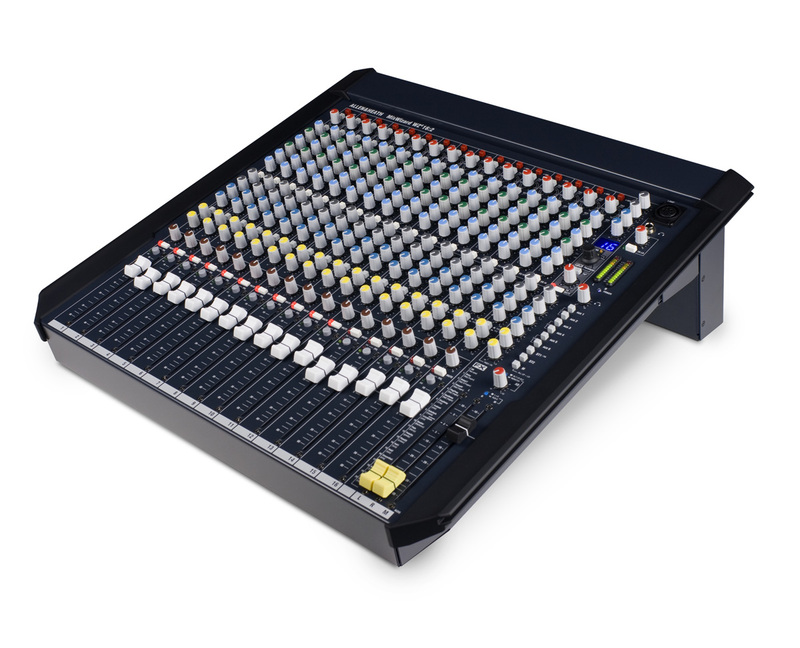 WZ4 16:2, Analog Mixer from Allen & Heath in the MixWizard4 series. Allen & Heath unveils at InfoComm the fourth generation of its MixWizard analogue mixers. The MixWizard 4 mixers replaces the Wizard3 mixers with three 19" rackable models that can be completed with an optional multitrack USB audio interface. The three WZ4 16:2, WZ4 12:2 and WZ4 14:4:2 are equipped with the new EQ In/Out switching system and retain the 4-band EQ with 2 sweepable mids, 100mm faders, 6 aux sends, 12-segment meters and QCC connector from the Wizard3 series. The WZ4 16:2 and 12:2 received two digital effect processors (20 presets) and a 2-digit LED display, a tap tempo and an encoder for the effect parameters. 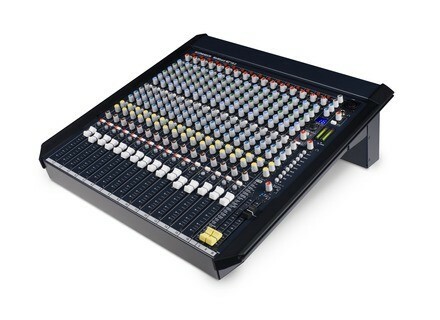 The WZ4 16:2 offers 16 mic/line inputs, 2 stereo returns and separate left/right and mono faders. The WZ4 12:2 features 8 mono channels, 2 stereo channels, 2 stereo returns and the same right/left and mono faders. The WZ4 14:4:2 is a dual function mixer that combines 10 mono inputs, 2 stereo inputs and 4 sub-groups to a 6 x 2 matrix for creating custom mixes, an oscillator and a pink noise generator for sound engineers who need to test the speakers. The three new MixWizard4 mixers will be available in July, prices are the same as the version 3 models. Visit www.allen-heath.com for a detailed description. JZ launches a mic for low budget home studios JZ Microphones decided to extend its condenser microphone offer to low budget home studios with the J Series. Allen & Heath GLD-112 mixer unveiled Allen & Heath introduces at InfoComm 2013 the GLD-80 big brother, the GLD-112 modular digital mixer which supports up to 44 mic inputs. Looptrotter launches a preamp in 500 format The new Looptrotter SATurAMP microphone/instrument preamp equipped with a saturation is now available for purchase.